46 Feet of Company Advertising Driving Down the Highway! 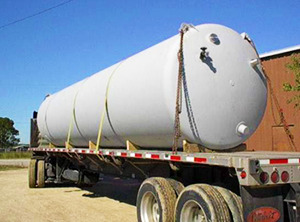 Lone Star Cryogenics sells new cryogenic trailers for transportation of liquid nitrogen or oxygen. Any order can be completely customized to produce the exact transport to fit your company’s needs. 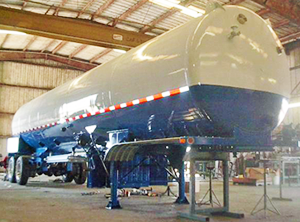 Your choice of name brand components, physical arrangement of systems as well as the coating color scheme are all choice you may have included in the manufacture of your transport!